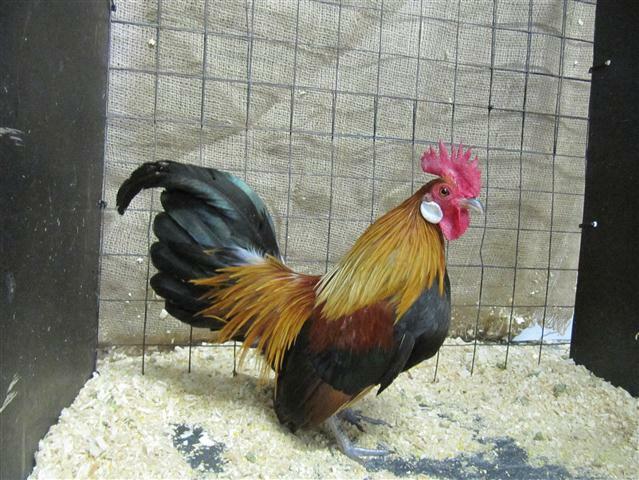 The Dutch Bantam or Hollandse Kriel originated in Holland round about 1882 and is recognised in the Netherlands Book of Standards since 1906. It first appeared in the UK about 1970 where it is initially called the Old Dutch Bantam. In South Africa it was shown for the first time in Polokwane in 1996. It is possibly one of the smallest bantams around and looks in some way like the Rosecomb Bantam, although it has a distinct type of its own. It is found in several colours, and is really a beautiful little bird.